Microsoft has released a new version of Minecraft for the Xbox One and Xbox 360 console, the update is Minecraft 1.6.4, and it brings a wide range of new features to the game. The video below shows some of the new features that are available in the latest version of Minecraft for Microsoft’s Xbox consoles. 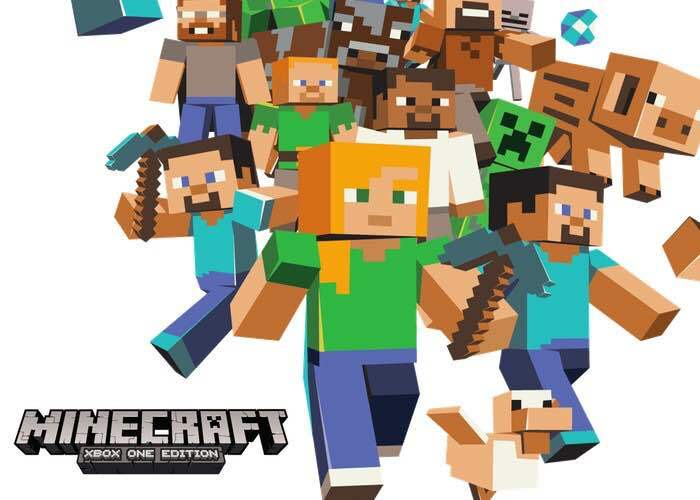 Minecraft: Xbox One Edition and Minecraft: Xbox 360 Edition both just got a big update. The just-released version 1.6.4 packs in a bunch of new features that will really expand your options, particularly when it comes to things that gallop and explode. To kick things off (even if you’re not a new player), check out the brand-new Tutorial World which teaches you how to use the new features in the update, in addition to teaching Minecraft newbies how to play. Once you’ve explored a bit, if you’re up for a challenge, see if you can find all the Music Discs hidden in this starter world. You can find out more details of what is included in the new Minecraft 1.6.4 software update for the Xbox 360 and the Xbox One over at Microsoft at the link below.